Would you lay in this coffin for more than a day, at $10 an hour? 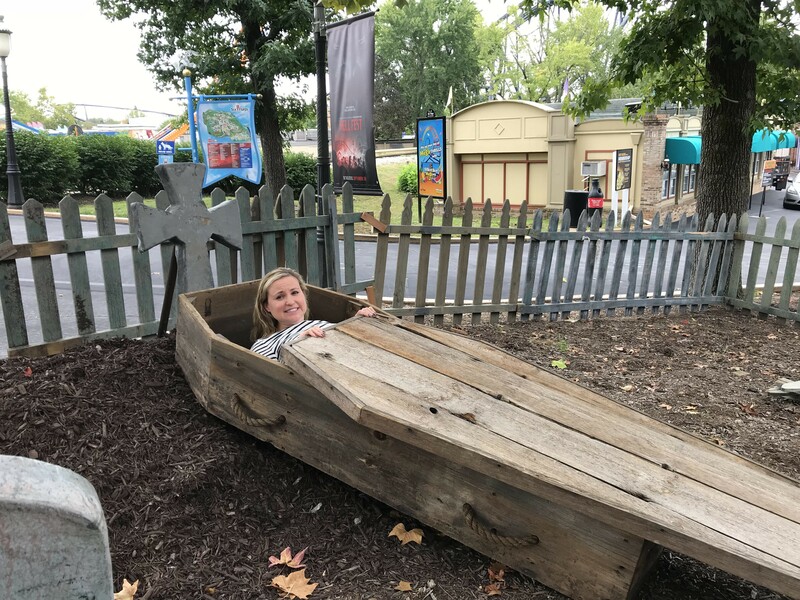 Six Flags St. Louis is looking for six brave souls willing to be (mostly) confined to a coffin for 30 hours. Since the Friday afternoon unveiling of the contest — and its prize of $300 — more than 8,000 applications have poured in. The onslaught surprised the contest organizers. "We never dreamed it would get this kind of attention," says Six Flags spokeswoman Elizabeth Gotway, who has spent decades working on the park's Fright Fest events. It's only been this year's contest, with its shades of David Blaine, that became a viral story almost instantly. Indeed, in the rush of news stories in local and national media outlets, the coffin challenge has taken on a dramatic life of its own, from a referendum on "the final stages of capitalism" from VICE to Yahoo Lifestyle's worry-laden interviews with two medical doctors, who raised concerns that the immobilized participants would risk various maladies, including muscle cramps, blood clots and choking from eating food while lying down. Gotway believes all of those concerns aren't just overblown; they don't fit the experience as it's been devised. 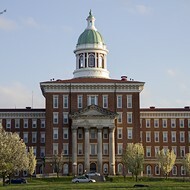 She points out that the coffins are being cut away at the top, and the lids won't be hinged or nailed shut, allowing participants to get out at any time. Gotway also clarified that contestants will be allowed to shift their position inside the coffin as they wish, and they'll be permitted to sit up while they eat the provided snacks. The entrants will be allowed one six-minute bathroom break per hour. Basically, it'll be rough — the coffins measure a cozy two feet wide and seven feet long — but it won't be a remake of that scene in Kill Bill. "We use this type of coffin in the park as a prop," Gotway says. "They will be partially enclosed, but not their faces, not their heads. At any given moment they could slide the lid completely off and just get up and say 'I'm done.'" Beyond that, she promises, park personnel will be constantly monitoring contestants' conditions. Ultimately, Gotway and her team will have to pick just six contestants from the thousands of entries. She says the decision will be based entirely on the entrants' given reason for entering the contest. "We're asking them to tell us why they want to do this, whether it's unique, fun, clever," she says, vowing, "We will read every single one of them." The deadline for applications is October 3. 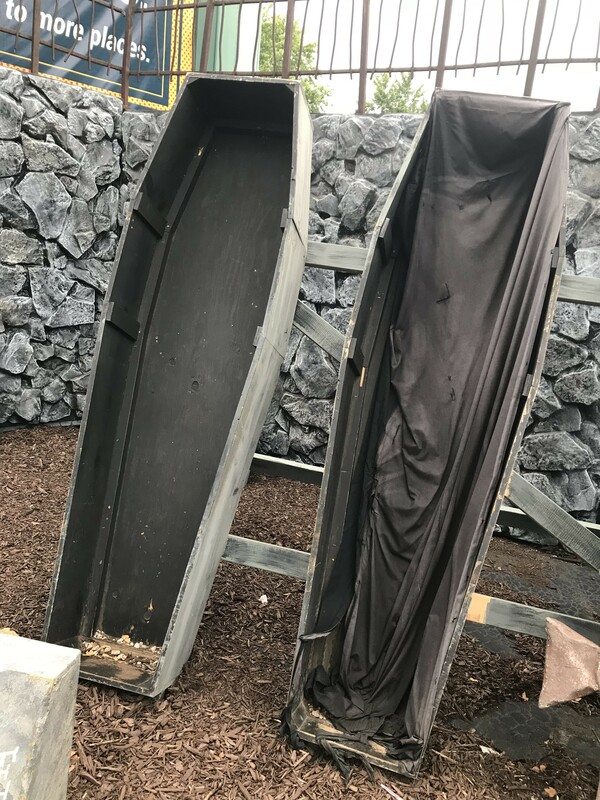 On October 13, the hand-selected six "coffin dwellers" will slip into the wooden containers at 1 p.m. From there, the entrants will be allowed to have a friend check in on them intermittently, but after the park closes for the day, contestants will be on their own. And that's when things will get even more interesting. 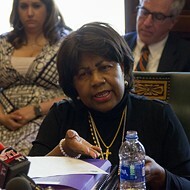 "We will have some voluntary challenges for them to participate in," Gotway says, though she declined to elaborate on what those challenges will entail. She says only, "They will be challenges of a creepy nature." The contest will end at 7 p.m. October 14. If a single person remains, they'll walk away (on presumably cramped legs) with $300, two season passes, a Fright Fest prize package and, yes, the coffin itself. If more than one contestant sticks it out, each winner will receive the prize packages, but a random drawing will decide who nabs the $300. For more info and rules, check out Six Flags' official registration page.